Citigroup scored a remarkable triumph for a commercial and retail bank by outperforming the cream of the crop in the first annual Global Finance Investment Banks Awards. In a triumph that evokes images of a ‘blue-collar’ horse like Funny Cide or Smarty Jones winning the Kentucky Derby, Citigroup, the bank that built its worldwide reputation on retail and commercial banking, has swept the first annual Global Finance World’s Best Investment Bank awards. The business of arranging stock and bond sales for the biggest companies in the world calls for the ability to commit large sums of capital if necessary to assure the success of an issue in the secondary market.Thus it is no surprise that most of the leading investment banks are global institutions with substantial resources. What is surprising—and a credit to Citigroup’s diversity—is that the world’s premier retail and commercial bank has managed to blend two distinct cultures that often clash at other institutions. Citigroup’s careful commercial bankers and its more-flashy investment bankers work together as a team. 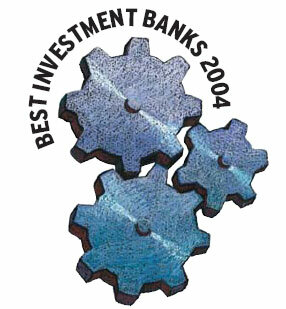 Citigroup was chosen as the Best Investment Bank globally and also took the most individual awards, winning 15. Goldman Sachs was second with eight, followed by Morgan Stanley with four(and one shared award). Not all of the winners were wellknown institutions based in global financial capitals. Arlington, Virginiabased Friedman, Billings, Ramsey, for example, won as best investment bank in the real estate sector. Global Finance editors, with input from industry analysts, corporate executives and banking consultants, identified the best investment banks in the world. We considered deals announced or completed in the last three quarters of 2003 or the first quarter of 2004. Award winners were chosen for best equity, debt, M&A; and best overall in seven regions and globally. Country winners were selected in 15 countries. Industry sector winners were chosen in 10 categories. Best equity, debt and M&A; deals were also chosen. pricing and after-market performance of underwritings. Investment banks reported sharply higher profits in the first quarter of 2004—some more than doubled the earnings of the same period a year earlier. Renewed confidence and rising equity markets produced a jump in jumbo mergers and hot IPOs, the likes of which haven’t been seen in years. punch bowl it’s getting harder to maintain the excitement among investors. As interest rates rise and growthslows, who can corporations reliably turn to if they need to sell a line of business or roll over a pile of debt? The best investment banks are those institutions with the ability to give good advice and to execute transactions without a hitch, even in unsettled market conditions. This requires experience and innovation, as well as deep pockets. Citigroup earned a record $5.27 billion in the first quarter of 2004, of which $1.71 billion was profit from its corporate and investment bank.Citigroup’s rise to the top of the investment banking world began with the $140 billion merger in 1998 between Travelers and Citicorp, which brought it the Salomon Brothers franchise.The merger helped trigger the repeal of the Glass-Steagall Act a year later, all but eliminating the distinctions between commercial and investment banking. In January 2000 Citigroup acquired the global investment banking operations of London-based Schroders, adding 1,400 professionals in investment banking and equity capital markets. “We always said the weak link in our investment bank was Europe, and this helps us fill that gap,” Citigroup chairman Sanford I.Weill commented at the time. Citigroup already had combined the Tokyo operations of its investment banking arm with Nikko Cordial in a joint venture known as Nikko Citigroup.In today’s competitive global markets, only banks with sufficient capital and product expertise in all major markets have a chance in the big leagues. Citigroup positioned itself to help corporate and sovereign clients worldwide achieve their strategic objectives and has emerged as the world’s best investment bank. Citigroup is the only investment bank to be book-manager on the largest initial public offering globally in each of the past seven years,including the Shinsei Bank $2.3 billion IPO in 2004 and the $3.5 billion China Life IPO in 2003. It also is the only investment bank to rank in the top three in convertibles,follow-on equity offerings and IPOs in the 12 months ended March 31, 2004. It led in the number of equity deals in the same period,with 275. The bank carefully considers theneeds of issuers by studying theircapital structure, balance sheet and capital requirements and uses itsstrong retail platform to enhancethe distribution of securities. Citigrouphas the largest global equity distribution network and maintains close relationships with the biggest institutional buyers. Citigroup is strong in every region of the world. It was joint bookrunner on Eircom’s $985 million IPO, the second largest in Europe so far this year. The bank was bookrunner on Cemex’s $500 million offering, the largest equity transaction in Latin America in 2003. It was book manager on General Electric’s $3.8 billion offering in March 2004, which was the largest primary common stock follow-on offering ever in the US. Citigroup’s willingness to commit its own capital, in addition to being the leading underwriter of debt securities,helps to explain how the bank smoothly executes transactions, even for distressed borrowers, in more countries than any other institution. The bank counsels clients well and backs up the offerings it manages with strong secondary-market trading. In the year through March 2004,Citigroup was the top bookrunner for global investment-grade corporate debt, with a 12% market share and more than $230 billion in proceeds.It ranked second for global high-yield corporate debt in the same period. Citigroup also handles major debt transactions for sovereign borrowers. Last June, for example, it led a $1 billion 10-year note offering for South Korea at the tightest spread ever for an Asian benchmark issue.It also was the lead manager for a $5 billion debt exchange for Uruguay, in which holders of 93.5% of eligible bonds participated. Citigroup was the co-lead manager of General Motors’ record $17.9 billion bond offering last June. In October 2003 it helped Telecom Italia successfully execute an inaugural $4 billion global offering in three tranches. This transaction generated orders of more than $17 billion from 316 accounts. If there is a major merger in the works, chances are that Goldman Sachs is in the thick of things.The venerable Wall Street institution worked on nearly 300 mergers and acquisitions globally last year, valued at $392 billion, according to Thomson Financial. Runner-up Morgan Stanley advised on 240 deals, valued at $239 billion. Goldman Sachs advised on nine of the top 10 M&A; deals completed in the US last year. Its closest contenders, Merr ill Lynch and Morgan Stanley, each advised on four of the top 10 completed transactions. Goldman’s involvement with blockbuster deals has continued in 2004.The firm successfully advised Walt Disney on its defense against a hostile takeover attempt by Comcast. It advised AT&T; Wireless on its sale to Cingular Wireless.And in the biggest deal of the year to date, it advised French pharmaceutical company Aventis on its $66 billion merger with Sanofi-Synthelabo. While no investment bank comes close to matching Goldman’s M&A; prowess in the developed markets of the US and Europe, the bank hasn’t done as well in Asia and Latin America in recent years. JPMorgan Chase displaced it from its top ranking in the Latin American market last year, with Goldman falling to sixth place on a 71% decline in its rank value, according to Thomson Financial. Nonetheless, with a culture of success based on intelligence, hard work, long hours, loyalty and good corporate citizenship, Goldman has accomplished a great deal in the high-margin M&A; business and has managed to keep its reputation for integrity intact. Morgan Stanley was an active participant in many of the largest M&A; transactions in the rapidly consolidating financial services industry in the past 12 months. It acted as sole financial adviser to FleetBoston, for example, in its $47 billion merger with Bank of America.This transaction was by far the largest bank merger of 2003. Morgan Stanley relies on longterm relationships and a client-focused approach to investment banking. Its relationship with Fleet Boston goes back to at least 1995, when the firm advised Shawmut and Baybanks on their respective mergers with Fleet Financial and Bank of Boston. Four years later, Morgan Stanley advised BankBoston on its merger with Fleet Financial to create FleetBoston Financial. Morgan Stanley also advised John Hancock Financial Services last year on its $11 billion merger with Torontobased Manulife Financial. This transaction was the biggest in the insurance industry since American International Group acquired American General for $23 billion in 2001. The 60 bankers in the oil-and-gas investment banking group at JPMorgan Chase include many with experience in the industry or degrees in such related fields as geology and petroleum engineering. The group serves 350 clients in 50 countries and is organized into specialized teams that focus on various aspects of the business, such as exploration and production or refining and distribution. Earlier this year, JPMorgan Chase assisted Charlotte, North Carolinabased Duke Energy on the $1.24 billion sale of its natural gas pipelines and power plants in Australia and New Zealand. The transaction was unusual in that it was one of the few sales in the Australian market where concurrent tender and IPO processes were continued up to the bidding deadline. Perth-based Alinta,a major natural gas group with operations in western Australia, was the ultimate buyer. JPMorgan Chase also advised Duke last July on the $300 million sale of its majority interest in PT Puncakjaya Power in Indonesia to Freeport-McMoRan Copper & Gold. Lehman Brothers boosted its private banking and asset-management services with its $3 billion acquisition on October 31, 2003, of Neuberger Berman. Investment banking, however,remains a key focus of the firm,which is particularly respected for its capabilities in the energy and power sector. In the first quarter of 2004,Lehman Brothers was the lead manager for 34 equity and equity-linked transactions, valued at $7.3 billion. Last December Lehman Brothers advised Houston-based Enterprise Products Partners on its acquisition from El Paso of the 76% interest it did not already own in GulfTerra, a natural-gas transmission company. The complex cash-and-stock deal was valued at $1.85 billion. Among other significant deals led by Lehman in the past 12 months were follow-on equity offerings of $860 million for Peabody Energy and $684 million for Dominion Resources. When companies from a wide range of industries worldwide need to tap the debt or equity markets to expand or finance acquisitions, they often turn to Citigroup because of its demonstrated expertise.The bank has specialists in the automotive, defense and aerospace, diversified industrials, metals and mining, paper and packaging,and transportation industries. Citigroup is the leading underwriter of investment-grade and high-yield corporate debt for the chemicals industry.The bank also has advised on many notable M&A; transactions in the sector. In September 2003 Citigroup advised the Blackstone Group, Apollo Management and Goldman Sachs Capital Partners on their $4.2 billion acquisition of Nalco from Suez of France. Illinois-based Nalco provides water-treatment and industrialprocess services and chemicals. Citigroup also was joint book manager for $1.6 billion of high-yield notes and joint lead arranger for $1.85 billion of bank credit facilities for Nalco. Arlington, Virginia-based Friedman,Billings, Ramsey has moved up into the big leagues of investment banking.It was the joint bookrunning manager of the largest initial public offering in the United States last year.The investment bank ranked third behind Goldman Sachs and Credit Suisse First Boston among all IPO underwriters in the US for 2003, raising $2.1 billion. The Virginia firm also topped all major investment banks in the aftermarket performance of its lead-managed equity underwritings for the one-year, three-year and five-year periods ended December 31, 2003, according to Dealogic. Friedman, Billings, Ramsey teamed up with Banc of America Securities on last year’s leading US IPO, an $804 million offering by Pennsylvaniabased American Financial Realty Trust. The REIT acquires and leases properties occupied by financial institutions.In February 2004 it completed the acquisition of a newly developed office building in Boston that is leased by State Street Financial. Credit Suisse First Boston advised General Electric’s NBC subsidiary on its acquisition of Vivendi Universal Entertainment, the most significant transaction in the media and entertainment sector in the past 12 months. The merger, announced last September, won approval in April 2004 from the US Federal Trade Commission. The new company,NBC Universal, would combine NBC’s US television network with the Universal film studios, along with cable networks and theme parks. Under the agreement, NBC will pay about $3.8 billion in cash for Vivendi’s entertainment business. NBC also will take on $1.7 billion of Vivendi’s debt. In another important deal, Credit Suisse advised Hughes Electronics on its sale of a 19.9% stake by General Motors to Australia-based News Corporation.The latter will acquire a further 14.1% of Hughes and its DirecTV satellite unit from public shareholders and GM’s pension plans. The health-care sector was the second- most-active sector after financial services for announced worldwide M&A; deals in the first quarter of 2004, according to Thomson Financial. French pharmaceutical firm Sanofi-Synthelabo’s $66 billion unsolicited bid for rival Aventis was the largest transaction in this sector.Goldman Sachs, along with Morgan Stanley and Rothschild, advised Aventis. In the US, Goldman Sachs was sole financial adviser to Biogen, helping to carry out the largest-ever merger between independent biotech firms. The merger,which was announced in June 2003, created Biogen Idec, the world’s third-largest biotechnology company. The merger of equals via a stock-swap transaction resulted in a company with a more wide-ranging product portfolio and complementary strengths in marketing and clinical development. Goldman also advised Fisher Scientific on its merger with Apogent Technologies. The $3.7 billion transaction will provide Fisher with a stronger position in the fast-growing life-science market. Goldman Sachs is the leading investment bank in the consumer sector, where it dominated global mergers and acquisitions and led the league tables in global equity offerings in the past 12 months. Goldman Sachs advised Belgiumbased brewer Interbrew in March 2004 on its $4 billion acquisition of Brazilian investment firm Braco.The transaction was part of a complex stock deal to combine Interbrew with AmBev of Brazil to create the world’s largest brewer.The combined company will have a strong platform to market Brahma, a top-10 beer brand worldwide, and the two fastest-growing international brands, Stella Artois and Beck’s. Last July Goldman advised US retailer Sears Roebuck on the $5 billion sale of its credit-card business to Citigroup. Citigroup advised Cingular Wireless on its agreement in February 2004 to acquire AT&T; Wireless in a $41 billion transaction to create the largest wireless carrier in the US.The combined company would have 46 million customers and coverage in 97 of the top 100 US markets. Cingular beat out British carrier Vodafone in the bidding for AT&T; Wireless after NTT DoCoMo and Nextel dropped out. Both AT&T; and Cingular use GSM, or global system for mobile communications. The combined company plans to roll out high-speed, third-generation services in the future. In another major telecom deal last September, Citigroup purchased a 12% interest in KPN, the former Dutch telecom monopoly, from the government for $2.3 billion. Citigroup placed the 300 million shares in the market. Citigroup is the leading technology investment bank, with broad experience in M&A;, equity and debt.Within the sector, it is the top underwriter of investment-grade corporate debt as well as high-yield securities. While Morgan Stanley and Goldman Sachs are strong in technology mergers and equity issues, Citigroup is the only bank that is a top performer across the financial-product spectrum. In the M&A; area, Citigroup advised Taipei-based Ambit Microsystems in November 2003 on its $1.1 billion sale to Hon Hai Precision Industry, Taiwan’s largest electronics manufacturer. Citigroup also advised PeopleSoft on its acquisition of J.D. Edwards, a purchase that was completed in near-record time last summer. The bank continues to advise PeopleSoft on its ongoing defense against a hostile bid by Oracle. In Japan, Nikko Citigroup and Morgan Stanley jointly led Seiko Epson’s $1.1 billion IPO last June. The highly successful issue helped to revive the sluggish Tokyo stock market. Companies based in Taiwan accounted for 87% of the capital raised in the form of American depositary receipts in 2003. Chunghwa Telecom’s $1.59 billion initial public offering was the largest single issue, although Taiwan Semiconductor raised a total of nearly $2 billion in two separate offerings. Goldman Sachs was the lead manager for Chunghwa’s IPO.The company’s ADRs were listed on the New York Stock Exchange on July 17, 2003, at $14.24 a share, and although it was a down day for the market, they closed up $0.11. Chunghwa, the biggest revenueearner for the Taiwanese government, was the first state enterprise from that country to be listed on the NYSE.It was also the first Taiwanese company to sell shares simultaneously in the domestic and overseas markets and the first to sell shares in Japan. The IPO represents a breakthrough in Taiwan's attempt to privatize its non-financial state-owned enterprises, although the government still holds 66% of the company's shares.Chunghwa began its preparations for listing three years ago and conducted a total of 104 road shows. The effort paid off, the company says, with 60% of its investors located in the United States. Merrill Lynch and Morgan Stanley acted as global coordinators of General Motors’ $17.9 billion bond issue on June 26, 2003. The issue was the largest corporate debt offering ever, and its success paved the way for a throng of corporate debt sales. The timing of the issue was perfect, coming a day after the Federal Reserve cut US interest rates to their lowest level since 1958.The GM offering involved 11 separate transactions denominated in US dollars, euros and British pounds. In the end, the 41 different banks involved filled 1,875 orders, with the issue oversubscribed by more than $30 billion. The sale was designed to accelerate improvements in GM’s balance sheet and financial flexibility.The automaker says that substantially all of the proceeds will be used over time to partially fund its US pension funds and other retiree-benefit obligations. GM and its financing arm, General Motors Acceptance Corporation (GMAC), offered a variety of straight and convertible bonds.The size of the offering was increased from an originally planned $13 billion to meet the strong investor demand. The financial services industry was the top sector for global M&A; activity in 2003, as well as in the first quarter of 2004.This was largely the result of the ongoing consolidation of the US banking industry. JPMorgan Chase’s $58 billion agreement in January to acquire Chicago-based Bank One was the largest transaction in this sector in the past 12 months.The blockbuster deal to create the second-largest bank in the US appears to be a good fit. Bank One’s stable consumer and creditcard businesses will balance JPMorgan Chase’s more volatile commercial and investment banking operations. The merger also represents a personal triumph for Jamie Dimon, the Bank One CEO who will become chief executive of JPMorgan Chase in 2006. In his new role, Dimon will compete with Citigroup, the largest US bank, which fired him in 1998. Among advisers to US transactions, JPMorgan ranked first in the first quarter of 2004, helped by its own participation in its acquisition of Bank One. Lazard advised the target bank. Goldman Sachs was the top global adviser of mergers and acquisitions once again last year. The firm also ranked first in its other core businesses, including initial public offerings by US issuers and the issuance of global equity and equity-related securities. In addition, Goldman developed a prominent position in high-yield corporate debt securities. It was the lead manager for California energy producer Calpine’s $2.6 billion debt issue last July, the largest high-yield deal of the year. Founded in 1869, the somewhat secretive Goldman was the last Wall Street investment bank to abandon the partnership structure, with an IPO in 1999. Under its merit-based system of compensation, all employees are eligible for a year-end bonus based on performance. Goldman says it intends to stay on top by hiring the best people and anticipating the changing needs of its clients. Morgan Stanley’s underwriting revenue for equities surged by 147% to $314 million in its first quarter, ended February 29, 2004. While all investment banks have benefited this year from improved market conditions, Morgan Stanley was the only leading firm to increase its market share of common-stock proceeds during the more trying times that prevailed in 2003. Morgan Stanley was the sole bookrunner on two of the largest stock offerings last year: management consultant Accenture’s $1.98 billion secondary offering in September and Seagate Technology’s $1.3 billion issue in July. More recently, leading Internet search engine Google selected Morgan Stanley and Credit Suisse First Boston as the underwriters for a $2.7 billion initial public offering that will take place later this year. Google plans to sell the shares through an unusual online Dutch auction to give the general public a better chance to buy stock before trading begins. It also has opted for a dualclass ownership structure that will give company insiders much more voting power than public investors. Citigroup was the leading underwriter of US investment-grade corporate debt in 2003 for the fourth year in a row, with $135 billion in proceeds and a 20.5% share of the market, according to Thomson Financial. The bank was also the leading bookrunner in the 12 months ended March 31, 2004, for all US debt, including mortgage-backed and asset-backed securities and taxable municipals. When General Motors came to market in June 2003 with its record $17.9 billion bond issue, it selected Citigroup as joint bookrunner on the 10-, 20- and 30-year US-dollardenominated portions. The issue was heavily oversubscribed and attracted hundreds of top investment accounts. Citigroup combines a wide range of products with the technical know-how and ability to advise clients facing a liquidity crisis. The bank also has demonstrated that it can execute transactions across entire sectors, including power, packaging, energy, chemicals and media. It routinely assembles large syndicates and structures advantageous financing for big-name clients. Citigroup’s Banamex subsidiary is increasingly active in the Mexican debt market. While Goldman Sachs is well known for its leadership role in advising on US mergers and acquisitions, its M&A; prowess extends throughout the North American continent. It was the leading adviser on Canadian announced M&A; transactions in the first quarter of 2004, due mainly to its role in the $7.7 billion acquisition of brewer John Labatt by Brazil’s Cia de Bebidas das Americas. Goldman also secured the top position in Canadian completed M&A; deals in the first quarter, according to Thomson Financial. The bank advised on three of the top deals, including the $3.7 billion acquisition of Ontario-based printer Moore Wallace by RR Donnelly & Sons of the US. In Mexico Goldman advised Grupo Financiero BBVA Bancomer in February 2004 when Spain’s BBVA launched a tender offer to acquire the remaining 40.6% stake in the company it did not already own. Earlier this year, Goldman advised Hylsamex, the Mexican steel company that was spun off from Grupo Industrial Alfa. The year to April 2004 was another exceptional period for Citigroup in Western Europe. The bank finished the year in second spot in terms of equity-related issuance and topped the eurobond league tables. In fact, the bank featured on almost all the major lists for the period. Citigroup’s wealth-management operations continued to improve its market share, and in conjunction with its Smith Barney subsidiary it now offers one of the largest equity research, planning and advisory services in Europe. Relationship development is perhaps the area where Citigroup made its greatest advances. As a result of client feedback and a below-target performance in 2002, European investment banking was restructured to streamline operations. Early indications from 2004 figures suggest that the bank will be a force to be reckoned with again in 2004-2005. Goldman Sachs maintained its reputation as the equity house of choice for many of Europe’s corporate issuers and investors alike. The bank was involved in more than $11 billion in equity offerings last year, giving it almost 12% of the market in Western Europe. For companies looking to bring their stock to the market for the first time, Goldman is more often than not the first port of call, especially in the telecom market. Goldman lead managed the IPOs for Belgacom, one of the largest in Europe in more than four years, and Yell. Relationship building played a significant role in Goldman Sachs acting in the buyout of Orange shares for France Télécom. 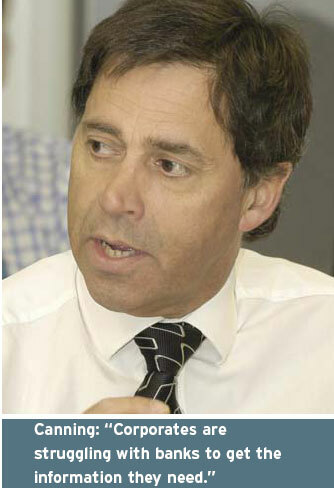 The bank had performed several deals for France Télécom’s new CEO Thierry Breton during his time at Thomson Financial. The strong performance of these and many other deals is testament to Goldman’s research, trading and support strength. Deutsche Bank’s position atop Western Europe’s debt issuance pile was strongly challenged this year, but it continues to attract high praise. One theme that is becoming more prevalent is liability management by companies with outstanding eurobonds. Here Deutsche Bank is a clear leader in Europe, assisting and advising on buy-backs, duration extensions and other forms of liability reduction. For this reason the bank was highly sought after as a bookrunner and originator among European firms. The previous three years had proved to many issuers that there are more important things than just getting the deal done. Deutsche Bank’s work in ensuring long-term performance and liquidity of the paper it launches, which occasionally meant not taking on some deals, earned it the award. Lazard’s traditional strength in the media and telecom market was demonstrated by its being adviser for Telecom Italia on its merger with Olivetti. At €40 billion, this was the second-largest deal of 2003. This kind of high-profile deal, combined with its second place on the European league tables for 2003 and a solid start to this year, led to Lazard taking the European M&A; prize. Nomura has demonstrated its considerable clout right across the board in Japan, from equity origination to M&A. ; In the equity markets, Nomura helped pull off some of the highlights of the past 12 months, including the highly successful $2.37 billion Shinsei IPO in February this year. In the fixed-income markets, the bank remained an indomitable force in yen bond trading. It also participated in a range of important deals such as the ¥85 billion ($748 million) General Electric Japan Funding bond. It was at the fore in the zaito kikan (non-government guaranteed agency bond) market, which is experiencing strong growth. In M&A; Nomura boasts a litany of deals (99 in 2003), among them such noteworthy transactions as the integration of the electronics giants Konica and Minolta. Traditionally Nikko Citigroup is at the fore here.Yet the past 12 months has been a tour de force for Nomura. Last year it captured a third of the market, with 109 transactions, while this year it has already led 41 deals, according to Thomson Financial league tables, making the most of a buoyant market. In 2003 Nomura co-led the $2.7 billion Mitsubishi Tokyo Financial Group deal, marking the first time a Japanese bank has issued common stock in 13 years. In the first quarter of 2004, Nomura was a lead manager on the $2.37 billion Shinsei Bank IPO, which generated huge demand, its share price jumping 57% on its first day of trading. Nomura has been active in the equity- linked market as well. In December it led the ¥23 billion, zerocoupon euroyen convertible bond by Japanese information services company CSK, setting a new record with a 74% CB premium. Nomura remains at the forefront of this competitive market, making the most of its strong trading capabilities and extensive network of clients. Last year it helped manage the ¥85 billion ($748 million) General Electric Japan Funding issue, which represented the first domestic yen bond issued by a Japanese subsidiary that is also guaranteed by a foreign parent company. Nomura boasts a strong presence in the Fiscal Investment & Loan Program Agency (FILP) bond market, which deals in non-government- guaranteed government agency bonds. Nomura used its impressive distribution capabilities to help bring the largest simultaneously issued, multi-tranche FILP Agency bond to the market last year: a ¥200 billion, three-tranche issue by Japan Highway. Nomura is also strong in the Samurai market, with power-reverse dual-currency issues its strong suit over the past 12 months. This included the European Investment Bank’s ¥38 billion offering, the largest deal of its kind in 2003. No other bank can compete with Nomura’s 99 announced and 43 completed deals for 2003. This year it has continued to dominate the scene, with 36 announced transactions in the first quarter, according to Thomson Financial league tables. While the foreign houses often land the high-profile deals, these amount to only a handful at best. It was only Nikko Citigroup that achieved anything close to Nomura’s performance in 2003—something it failed to sustain in the first quarter of this year. Nomura has the relations—and increasingly the innovative approach— to appeal to a broad set of corporates in Japan, and many of its deals represent small mergers between Japanese companies. In 2003 Nomura worked on the important merger of life insurance companies Taiyo and Daido. Nomura also advised on the integration of the two electronics giants Konica and Minolta. Citigroup turned in a convincing performance across all areas of investment banking throughout the Asia-Pacific region. In M&A;, it advised on a number of significant transactions over the past 12 months, including its own acquisition of Korea’s KorAm Bank early this year. It also advised Lone Star on its 1.4 trillion won ($1.2 billion) acquisition of a stake in Korea Exchange Bank, which stands as the largest-ever private equity investment in Asia ex-Japan. Other notable deals include MISC’s acquisition of American Eagle Tankers, the largest-ever Singapore-Malaysia cross-border M&A; deal. On the equity side, Citigroup had a very robust 2003, including the public offering by China Life—the largest global IPO in 2003.The firm has slipped somewhat in this year’s first-quarter league tables. However, the fact that it has been mandated for the China Construction Bank IPO—expected to be around $5 billion— augurs well for the remainder of 2004. In debt, Citigroup has landed a number of significant bond deals across Asia, covering a diverse range of industries, and, of course, it continues to dominate the syndicated loan market. When it comes to straight equity, Goldman Sachs truly leads the pack in Asia. In Hong Kong it showed impeccable timing with the launching of Bank of China’s $1.87 billion placement at the very end of last year. It also managed well a $228 million placement for Hong Kongbased consumer goods exporter Li & Fung. In Taiwan it continues to capture the big deals, including the $1.58 billion American Depository Receipts IPO for the state-run Chunghwa Telecom last year. It was also a bookrunner on the $532 million IPO for satellite operator Astro in Malaysia, which generated huge demand, and co-led the $293 million secondary offering of American Depositary shares for India’s Infosys Technologies. In Korea, meanwhile, it managed a smooth $465 million sell-off of the majority of its stake in Kookmin Bank. HSBC’s home ground is Hong Kong, but over the past 12 months it has proved itself in other local currencies in the Asia-Pacific region as well as in G3 currencies. Last year it topped Thomson Financial’s Asia ex-Japan G3 currency bond bookrunner table, while the first quarter of 2004 put it in a comfortable lead for the Asian currency bond bookrunner rankings. Last year HSBC co-led the Korea Development Bank’s benchmark dollar and euro deal. It was also adviser to the Philippine government on its 74 billion peso ($1.3 billion) retail treasury bonds—the largest domestic Philippine transaction ever. In Malaysia, HSBC brought Sime Darby to the markets with a 500 million ringgit ($131.5 million) Islamic bond that achieved the lowest ever ringgit coupon and was the first bookbuild of its kind. HSBC is still strong in Hong Kong and landed three out of the four Hutchison Whampoa deals last year. Morgan Stanley has had a particularly impressive 12 months in mergers and acquisitions. It advised the government of Korea on the sensitive sale of its 80% stake in Chohung Bank to Shinhan Financial Group. It was also adviser to Korea Exchange Bank on its sale of a 51% stake to private equity investor Lone Star. Indeed, it has advised on many FIG deals, including the Prudential acquisition of Hyundai Investment Trust and the acquisition of Chekiang First Bank by Wing Hang. In China, Morgan Stanley had an especially good year, racking up such deals as the groundbreaking joint venture between French electronics manufacturer Thomson SA and China’s TCL International, which created the world’s largest television maker. It also advised Nissan on its joint venture with Yulon Motor in Taiwan, while in Singapore it acted as adviser on the sale of SingTel’s Yellow Pages business. Citigroup might not top the equity or debt capital markets league tables, but it continues to score consistently high in both. It acted as sole bookrunner for the Hungarian Privatization Agency on the successful accelerated equity offering of a 10.5% stake in the Hungarian oil and gas company MOL in February 2004—the first time such a deal had been completed in Hungary. Meanwhile, just outside the period under consideration for this survey, Citigroup, along with ING, completed the first subordinated eurobond from Kazakhstan for Kazkommertsbank—a $100 million deal that was widely praised by rival bankers. In addition, the bank claims a number-one position in regional M&A; and as a mandated arranger for loans in Central and Eastern Europe. The listing of Russian aircraft maker Irkut at the end of March 2004 was the icing on the cake for Credit Suisse First Boston’s ECM (equity capital markets) team in Central and Eastern Europe. The $127 million deal, which had domestic player MDM Bank as joint bookrunner, was the largest offering of domestic stock on the Russian market. And while it is not expected to open the floodgates to IPOs, it was a significant achievement for the company and CSFB. CSFB had already proven its credentials in the market. It trounced every other bank in the market and had more than double the market share of its nearest competitor Citigroup. The bank has been involved in almost every significant ECM deal from the region. In April 2003 the bank placed $201 million of ADRs in Russian telecom provider Mobile TeleSystems for Deutsche Telekom. In June it sold the equivalent of €220 million of Czech telecom provider Cesky Telecom shares for KPN in a bought deal that more than doubled the company’s freefloat. In December, when KPN was joined by Swisscom in wanting to sell a further 27% of Cesky’s stock, CSFB (this time along with Morgan Stanley) seemed like the natural choice. One bond deal from Central and Eastern Europe stands out during past year: a €1 billion seven-year issue for Russian gas giant Gazprom in September 2003. This was Gazprom’s inaugural deal from a newly arranged EuroMTN program and highlighted the progress that Central and Eastern European companies have made in the debt capital markets. Deutsche Bank and UBS were bookrunners. To choose between them is a tough call, but UBS has managed to generate more business than Deutsche Bank, according to figures from investment bank information provider Dealogic. It places UBS at the top of the league table for all non-domestic debt issuance, with 23.47% of the market, and ING just a whisker behind in second place. Meanwhile, Deutsche captured an impressive but far-from-marketbeating 15.33% to gain third place. Size isn’t everything, but when it’s combined with the deal-selling clout evident in Gazprom’s issue, it adds up to a great package for both issuers and investors. Add in the kudos and experience gained from doing deals like June 2003’s Republic of Ukraine €800 million 2013 sovereign (tapped for a further €200 million in September that year), and UBS looks unbeatable. Although global M&A; has showed only a small improvement in the past 12 months, Central and Eastern Europe (along with the US) have experienced a marked improvement. PricewaterhouseCoopers estimates the value of M&A; to be $8.6 billion in calendar year 2003 in Bulgaria, Croatia, the Czech Republic, Hungary, Poland, Romania, Russia, Slovakia and Slovenia. Morgan Stanley finished just behind JPMorgan in the league tables for the period under review, but its involvement (along with Merrill Lynch) in the biggest success story of the year— the BP/Alfa-Access-Renova deal to form TNK-BP—gives it the edge over its rivals.The deal was the single biggest foreign investment in Russia ever and, for many, ended the gloomy chapter in Russia’s economic history that followed the crisis in 1998. With operations in 24 countries throughout Latin America and the Caribbean, Citigroup can service clients just about anywhere, making it one of the most recognized and trusted banking brands in the region. Since opening its first Latin America office in Buenos Aires in 1914, Citigroup has built its reputation based on solid relationships with Latin American clients. More important, it has maintained its presence even through the region’s frequent boom and bust cycles. Citigroup offers a variety of global investment and corporate banking services and products in Latin America, including debt and equity underwriting, advisory services, derivatives, foreign exchange, transaction services, loans, and sales and trading. Its investment bankers have industry, regional as well as country expertise, with the bank’s country coverage concentrated on five key markets: Argentina, Brazil, Chile, Mexico and Venezuela. Last year, despite a financial crisis in Argentina and mounting political tensions in Venezuela, Citigroup investment bankers continued to provide financing solutions. The bank was lead arranger in a $2.33 billion refinancing for Enersis-Endesa—the largest syndicated loan ever signed in Latin America. It also completed the first-ever domestic liability management transaction in Venezuela and Costa Rica’s debut international syndication. 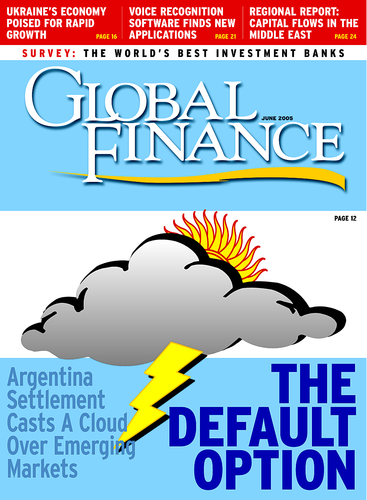 Citigroup also acted as dealer- manager and global coordinator for Uruguay’s landmark $5.3 billion bond swap. Citigroup continued to top the league tables in 2003, remaining the top-ranking bookrunner for equity offerings in the region, with 49% market share. Last year, Citigroup was bookrunner for the first Chilean ADR offering since 1997. The deal involved a $231 million 144A/Reg S ADS offering for Corpbanca, a leading Chilean financial institution, that also marked the first ADS offering executed through an auction on the Santiago Stock Exchange.According to Citigroup, private equity investors were also able to monetize a 23.3% stake in Corpbanca via a global secondary equity offering placed in the US, Europe and Chile. In another key deal, Citigroup was involved in placing 25.5 million ADSs for Cemex in a transaction that marked the largest-ever offering for the Mexican cement producer. Cemex is also ranked as the thirdlargest cement producer in the world.The transaction served to simplify Cemex’s capital structure from an investor perspective and expanded the company’s shareholder base. Citigroup’s leadership allowed its core clients throughout Latin America to consider new issuance and liability management opportunities amid what would have to be described as challenging market conditions. Citigroup retained its position as the top-ranking bookrunner for Latin American bonds, syndicated loans and debt exchanges, with proceeds totaling more than $16 billion. Highlights from last year’s transactions include Citigroup’s participation as joint lead manager for the United Mexican States’ €750 million due-2013 global bond issue that marked the Mexican government’s first euro-denominated debt issuance since 2001. The bank was also sole lead manager and adviser in the $5 billion global debt exchange for the Republic of Uruguay in a deal that helped the country ensure its debt service capacity. It was also joint lead manager and adviser in January 2004’s $1.27 billion debt restructuring for Banco Hipotecario that marked the first debt workout successfully completed by an Argentine financial institution since the 2001 sovereign default. While JPMorgan ranked fifth in global announced M&A; deals last year, with a 16% market share, it was involved in many of Latin America’s signature deals.The bank was the target adviser in the acquisition by Mexico’s Coca-Cola FEMSA bottling company of Panamerican Beverages (Panamco), which had been ranked as Latin America’s largest bottler. The $3.6 billion cash deal transformed Coca-Cola FEMSA into Latin America’s largest Coca-Cola bottler, representing some 40% of the soft drink’s volume in the region, as well as the world’s second-largest Coke bottler in terms of volume sales.The transaction also was one of the largest international acquisitions ever by a Mexican corporate. The bank was the acquirer’s adviser in Chilean retailer Falabella’s $680 million acquisition of local retail competitor Sodimac in a deal that consolidated Falabella’s market leadership. Clients attribute much of the bank’s success in the M&A; arena to its international know-how and its ability to maintain long-term client relationships. While there are a number of major players in this market, few banks operate across both regions. Citigroup was not only one of the standout performers in the domestic markets but was able to leverage its global network to bring several prominent deals to the international markets. Citigroup has a number of fully owned subsidiaries in the region, including Nigeria Investment Bank and CitiIslamic Investment Bank, providing project finance and advisory services. Citigroup boasts one of the largest cross-border client bases and offers some of the most innovative risk and cost management systems of any international bank operating in the region. This has allowed it to actively manage deals for the likes of AngloGold, De Beers, South African Reserve Bank and Eximbank. JPMorgan’s dedication to the African markets can be illustrated by the fact that its biggest office in the European time zone outside of London is in Johannesburg. During 2003-2004 the bank performed some of the biggest equity deals on the African continent, in particular the sale of $468 million of Telekom, the largest part-privatization of its kind in South Africa. JPMorgan’s strength in the region allowed it to secure 19% of the bookrunning business for the 12 months to March 2004. Further adding to JPMorgan’s credentials as the best equity bank in the region was the high level of activity in other equity arenas such as convertible bond issuance. The bank was regarded by many in the markets as providing the highest level of secondary market liquidity and support to issuers. During the past year Merrill Lynch has managed a number of groundbreaking deals across the region and in various currencies. One of the most significant debt transactions of the year in Africa was the Kingdom of Morocco’s inaugural eurobond issue. Merrill Lynch was joint lead manager for the €400 million deal, which is the first from the sovereign to come without a third-party guarantee. The bank was also joint-lead on the Central Bank of Tunisia’s largest-ever eurobond deal. Both deals have performed well since launch and secured broad international placement. Merrill Lynch was also the sole arranger for the $1.15 billion USAID guaranteed deal for the State of Israel. Merrill Lynch’s ability to handle such deals in what has been a difficult time for issuance from the region demonstrates its strengths in the African and Middle Eastern markets. Citigroup has been particularly active in the mergers and acquisitions market over the past 12 months and was sole adviser on several major deals, including SABMiller’s purchase of Italian brewing company Peroni. They also advised on the $1.2 billion sale of AngloAmerican’s share in Goldfields to Norilsk Nickel. Citigroup sets the standard in the M&A; market not only by advising on the deals themselves but by being the region’s leader in arranging the capital raising, medium-term notes, syndicated loans and restructuring that often provides the funds for the transactions. The bank boasts a network of 34 representative offices in Africa and owns the CitiIslamic Investment Bank.This is the largest cross-regional network of any bank and provides its clients a reach far beyond national and regional boundaries. Scotia Capital advised Torontobased Manulife Financial on its allstock takeover of Boston’s John Hancock Financial Services. The merger, announced in September 2003, will create the second-largest life insurer in North America, behind AIG. The $11 billion deal was the largest cross-border transaction in Canadian history. Scotia Capital is the global corporate and investment banking division of Scotiabank, which operates in 50 countries. Scotia Capital is a leader in debt and equity underwriting in Canada and serves niche markets worldwide. It financed more than $10 billion in debt in 2003. Scotia Capital assembled a team from various departments of the bank last year to jointly lead a $735 million initial public offering of income trust units by Canada’s Yellow Pages, the country’s largest telephone- directories publisher. The bank applies a profitability model to each client relationship and transaction to ensure that it is being adequately compensated. Goldman Sachs reported record earnings of $1.29 billion in the three months through February 2004, more than double its earnings of the same period a year earlier. While the investment bank benefited from its position as a leading M&A; adviser, it also chalked up big gains as a result of improved trading conditions in the fixed-income and equity markets. Net investment banking revenue rose modestly to $763 million from $718 million a year earlier. Goldman Sachs advised on eight of the top 10 M&A; deals announced in the US last year, including Bank of America’s merger with FleetBoston Financial. Goldman advised on nine of the top 10 completed M&A; transactions in 2003. President John A. Thain left the firm to become CEO of the New York Stock Exchange in December. So far there is every indication, however, that Goldman CEO Henry M. Paulson Jr. and his team haven’t lost any of their magic in putting deals together. Goldman ranked as the leading financial adviser for announced worldwide M&A; transactions in the first quarter of 2004, with $205 billion in assignments. In 2003-2004 BNP Paribas continued to strengthen its investment banking league table position, even in the face of the increasing presence of the US banks. This has been achieved alongside the consolidation of its domestic French business. BNP Paribas is larger, in terms of market capitalization, than all of its European rivals, and it is the only French bank to feature in the topfive league table positions for eurodenominated investment-grade bond issuance, eurobonds generally, syndicated loans and international convertibles. In addition, BNPP was the only French bank to perform lead roles in the Cadbury Schweppes syndicated revolving credit, GMAC’s $17.88 billion debt offering (the largest-ever capital markets financing) and many other of the year’s biggest transactions. Deutsche Bank outperformed its domestic rivals in most departments this year.With some €850 billion in assets, it is the largest bank in the European Union. DWS, the bank’s fund management subsidiary, has secured Deutsche the top position in the domestic market. In international markets it was the highest-placed German bank in terms of equity issuance, structured finance and M&A; activity. The bank has made great strides in liability management, an area that has become of increasing importance among German institutions operating in the international markets. Despite increased competitive pressure, particularly from Deutsche Bank, which in October 2003 announced a plan to buy 40% of topfive Russian investment bank UFG, Brunswick UBS continues to dominate the Russian investment banking market, with a 28% market share.With the domestic Russian equity market starting to take off— it enjoyed its largest-ever float this year, with aircraft manufacturer Irkut raising $127 million—the picture could well have changed significantly by this time next year. But for now Brunswick UBS continues to dominate and innovate in the Russian market with deals like its simultaneous $625 million accelerated equity bookbuild and exchangeable offer for Norilsk Nickel stock in December 2003. Last year was another outstanding year for Akbank. According to the bank’s own figures, it accounted for around 60% of pre-tax profits of the 10 major Turkish banks in 2003. Capitalized at over $6.2 billion, it maintains its place as the largest company in Turkey and one of the largest banks in the Eastern European emerging markets.